In the fall of 1988 I attended a lecture on Indian Guides at a metaphysical church in Phoenix and it had nothing to do with a secret space program, yet as the night went on there were hints it might regarding the legend of Maldek. Virgil Armstrong, then going by ‘Posty’ gave the lecture that I hoped would be very informative as I was still curious about my Indian guide, Zephyr. It was odd; of course, that an elder white guy dressed in some pretentious Indian garb would be doing such a thing. Still, his stories of how he encountered his spirit guides and the information he shared was intriguing. 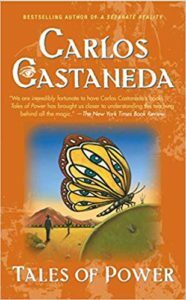 I hadn’t had any experience with Indians yet, other than when I asked about my guide while reading Tales of Power by Carlos Castaneda, so I listened with an open mind and heart. Virgil seemed a very gentle and kind-hearted man whom I did not know until that evening. One of his stories, though, caught my attention and had a story line of possibly millions of years. It was about a planet called Maldek and the history of Earth and our Moon. I did not hear anything like it since. There was something about it that felt familiar, although I didn’t understand why at the time. However, it did stick with me and years later it began to actually make sense and certainly trumps any Secret Space Program we might have. Apparently many, many, many years ago Maldek had a highly advanced civilization, perhaps even a Type II on the Kardashev scale. A Type II civilization—also called a stellar civilization—can harness the total energy of its planet’s parent star (the most popular hypothetical concept being the Dyson sphere—a device which would encompass the entire star and transfer its energy to the planet(s)). Their technology had developed to where they were able to at least travel in our solar system as well. The planetary administration or those in charge at least, thought it a brilliant idea to extend their technology to another planet within their range. They had developed a system for harnessing energy through geomancy, tapping ley lines of a planet to access electromagnetic fields of immense strength. Evidently they had depleted their own resources as they developed technology that required massive amounts of power, much like we have on Earth today. According to Virgil, Maldek’s ‘system’ was built using structures that sat atop points where energy converged into accessible ‘nodes’ and directed a finely tuned beam back to Maldek. There, they had developed arrays that could receive and transfer the energy into their power grids. Like humans, they wanted to go off-world to solve their problems. If your mind leaps ahead with bits of information, you aren’t alone. Mine did for sure. Before we go there, though, there were benevolent others who had been visiting the planet from outside the solar system. They knew of the predicament that Maldek faced and that more than likely things were going to go awry. In preparation for the ‘event’ and before the ‘system’ was turned on for the first time an escape plan was launched. The civilization that had emerged, like our present Earth, had brilliant beings with skill sets that we can only imagine currently, yet were of pure intent and purpose. Sure, some of their inventions were subverted toward the building of this system that was going to save their world. A temporary shelter was created, capable of housing millions yet there would still be challenge because the Maldek’s population was far beyond that and a there was on lottery, per se. The requirement for future residents of this shelter was simply a certain level of consciousness, which was not present except in certain ones who had remained pure of heart and mind. We could compare it to those who’ve reached a level of awareness and ability to live for thousands of years through developing a discipline mind and body. The shelter itself was a massive sphere, complete with its own ability navigate as well as to generate power and cultivate food for its inhabitants. It was essentially a massive wire-framed structure, impenetrable and yet covered with a material that attracts stardust that normally exists in any solar system and galaxy; a unique kind of terra-forming that would eventually create a surface once the shelter was in a safe place. The system had been built by some of the finest minds and math that was only tested in small models, yet proved viable on that scale. The structure for tapping the energy of a local planet were built and readied for testing. However, like the Tesla devices used on the Eldridge, things went haywire quickly. The initial tests did not consider the harmonics that this kind of power would cause to Maldek. The shelter was already completed and occupied when the test was initiated. The visiting star travelers attempted to warn the prevailing authorities that their calculations were incomplete and because of it, that the powered devices on the other planet would cause irreparable damage, if not complete destruction of Maldek. Of course their warnings weren’t heeded and when the devices were turned on, unforeseen things to the makers began to happen. The channeled energy was incompatible with Maldek’s electromagnetic field and began to create subharmonics that literally tore the planet apart. By the time this happened, though, the shelter was already far enough away that no major damage was done. The material and operation of the sphere, though, absorbed all the planetary fragments with precision, although it was covered with debris from it by the time things were over, leaving what appeared like a natural terrain on a celestial body. I’ve added a few things based on information I’ve collected over the years, yet Virgil’s story, like any of legend or myth went on. The story was that this wandering sphere traveled about the solar system, looking for a home. She, as it was termed, journeyed for some time before being granted a home, the Earth. According to the story, the Earth offered asylum to the wandering sphere and its inhabitants. It had found a home. We know it today as the Moon. The remnants of Maldek were scattered, yet remained in the same orbit. It is now known as the asteroid belt. There has been no explanation for its presence, the asteroid belt, yet it is in a perfect place for what once could indeed have been a planet. The Moon has a particularly odd configuration regarding its stationary position, never rotating and always showing just one side to Earth, as if it were indeed a manufactured sphere with purposeful non-rotation. Why? I’m unable to quote sources exactly, but for decades I’ve listened to various sources of information about the Moon. There have been reports that it is indeed hollow and that projectiles have been fired into the surface with the indication of a particular ‘ring’ that would indicate it. I’m sure this information would be available is one would search deeply enough. There are also some other indicators as to its habitation. 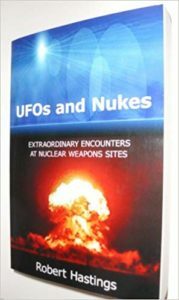 It was an ongoing discussion amongst conspiratorialists and ufologists for a number of years, but I haven’t heard much lately. There are reports that one of the early missions to the Moon, I believe it was Buzz Aldrin’s leaking that he had been to the edge of the ‘dark side’ and reported seeing silver metallic cylinders standing upright on what appeared to be a rectangular ‘landing pad’ as he called it. I think it is one of those stranger than fiction truths. No proof, though. 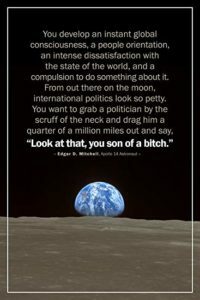 What I did have, though, is several conversations with Dr. Edgar Mitchell some years later. 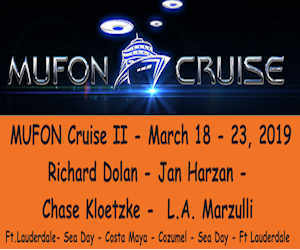 It was in October of 1997 during The Prophets Conference just outside Phoenix, Arizona at a place called Corona Ranch. I was hired by the Axiom Group as the event manager, which meant I handled all the logistical stuff on site. It was a pretty large event for the time and topics with over 30 speakers and 120 vendors. The box office numbers put attendance at over 5,000. Our ‘green room’ was really green as it was outdoors and secluded from the crowds. Friday morning I was tending to business and noticed Edgar walk into the area and pull out a pouch of Drum hand rolling tobacco. I believed it to be a wonderful sign as I, too, had a pouch of Drum in my back pocket. I was just hired help as far as everyone was concerned, a nobody in the ‘scene’ for the most part. I walked up to Edgar and made a very obvious pull from my back pocket so that he would notice the pouch and inquired about sharing smoke. Hopefully, he would make a comment that would start a conversation. It worked and he did. He started off by saying he didn’t run into too many people who rolled their own. I mentioned something about it being a sacred honor to share smoke with him. He chuckled and we launched into a conversation about the use of tobacco in the sacred ceremonies of Native Americans. 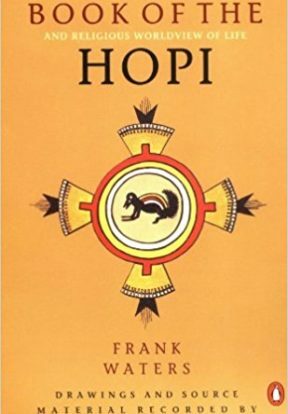 I’d spent some time on the Hopi reservation and heard their stories about the seven ships with seven sisters who came to them with gifts and taught the Hopi their sacred ways. Two of those gifts were tobacco and blue corn. The blue corn was to nourish the body as a spiritual temple and tobacco was to take Grandfather Spirit into the body for spiritual renewal, breathing in Grandfather Spirit with prayers and exhaling all discordant energy back into Nature for purging. 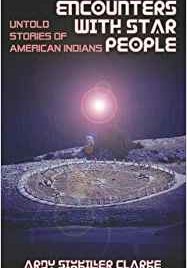 We talked about the relationship of star people with the Hopi and the origins of the Kachinas for a bit as well, and then I had to leave to take care of some logistics. We had a few more conversations that deepened in scope regarding consciousness and his fascination with it. He told me of seeing the Earth rise above the horizon on the Moon and how it took his breath away. 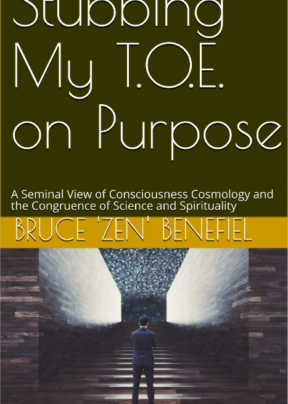 It was part of what ignited his quest and eventual launch of the Institute for Noetic Sciences. He was fascinated with discoveries in consciousness. By this time we’d had enough talk and I had shared some of my experiences with him. I spoke of my near life-long engagement with ‘intelligences’ I still didn’t quite understand, but knew they were of other worlds and even other dimensions. He acknowledged that I was far more involved with things not of this world than most people he’d met. He opened up even further. He began by saying that what he was about to tell me I could not repeat as long as he was alive. If the authorities found out his retirement and potentially his life would be in danger. He was already sharing a lot about his feelings and suppositions about extraterrestrial life, but he hadn’t shared any of his personal experiences about them. I understood his predicament and was excited that he trusted me enough to open up. He went on to tell me that shortly after they separated from the command module and were on their way to the surface that these silver metallic-looking cylinders began encircling the LEM, spiraling around it. He thought they were undoubtedly under direct control, perhaps a dozen or so, and yet he wasn’t sure whether they were controlled on board or from the surface. They were indeed under some direct control, though, and that they had come from the surface of the Moon. They continued to organize around the LEM for some time, but left as they were a few hundred feet above the surface of the Moon. Was this part of a Secret Space Program? He was confused and perplexed as to who they were and how long they had been on the Moon. It was obvious they had been there for quite some time, he thought. Whether it was thousands or a million of years, he figured it was probably more based on the kind of technology he witnessed compared to where America and the world were in their development. I ran into Edgar at a few other events years later, but he was always surrounded by groupies. I’d had my precious time with the very personable and far-reaching gentleman. The above is perhaps a mix of fact and fiction or perhaps the truth with the only error being the timeline in which it occurred. Suffice it to say that the events on Maldek could be much older and the mystery of the pyramids at least explained in part. Many pyramids are being discovered around the globe now, through use of ground penetrating radar looking for ancient sites. In reality, the Egyptians may have only re-purposed existing structures and used their tribute to the Gods as cover up. To believe they actually built them with the technology they had is a stretch at best. We’ve long been aware of visitors; the procession has been recorded in ancient texts as well as in current literature and now even accounts on the internet in growing numbers. The truth about Earth’s history may be couched in the dreams and visions described by the dreamers and seers. Some of it may even come through modern mediums or trance channelers, but the truth is probably so simple that we’ve completely looked beyond it for millennia. I am one of those dreamers and visionaries who have been on a quest to know truth, even given my life (literally) to know it without filters or pomp and circumstance. I’m rarely listened to yet some find my postulations to be sound in their logic and understanding of technology, both material and spiritual. This writing was prompted by a series of dreams in which it was apparent that a message of some kind was being offered and the prompting to share it was obvious in the waking sense of it being imperative to do so. As I pondered the story, I thought of Edgar and what he had related to me about his journey to the moon. I thought of the obvious secrecy that would be necessary to ensure his well-being, financially and otherwise. Many are kept silent by the threat of loss of their benefits, imprisonment and/or life in some cases. Then I had to look at the obvious – we stopped going to the moon. Why? Were we simply asked not to come back? It would seem that the natural inclination would be to return to the moon again and again, yet we haven’t. Could some event that happened thousands or even a million years ago be kept a secret? I’d think bits and pieces would come to light over time. There are so many conspiracy theories of this or that malevolent race from space trying to control or manipulate humanity and/or reap resources from Earth somehow. In reality, there doesn’t seem to be any real signs of any of that happening. 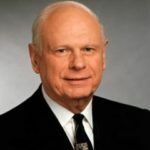 Paul Hellyer, a retired Canadian Defense Minister, stated some years ago that governments are well aware that there is no threat from space, period. There never was. Still, our fear-based militaristic manor or national security threat assessment does not acknowledge this fact. In reality, the military budget of the U.S. is the majority of the U.S. economy and millions of lives depend on the jobs and security it offers. The powerful want it to stay that way. It’s good for business and good for the economy. Let’s just say for a moment that it is possible that the story is true, that the Moon is actually inhabited by the remnants of a civilization hundreds of thousands of years older than ours. 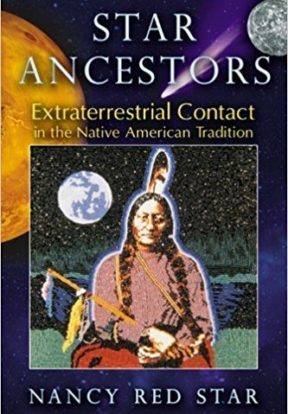 No doubt they are the ancestors of many of the Earth’s inhabitants and perhaps are continuing to watch over our evolving global society to make sure we don’t make the same mistakes they did. Surely ancestors would want their progeny to be whole and live well, right? It would even seem logical that we, as barbarous bullies who can’t play well with others on the planet let alone be open to benevolent interaction with advanced races, would be asked to stay home and not come out to play until such time that we did find a way to get along and take care of our environment first and foremost. There is research and study, not to mention thousands of those who’ve had contact (perhaps even progeny), who know we need to change our behavior. It is also known that reverse engineered technology is being used against any visitors, where ever they may originate. The messages that seem to be prevalent from most contactees and even those who are in the limelight, like Whitley Stieber, are that we need to learn to get along and manage our planet better. It is imperative that we take care of our environment and yet the ignorance of the leadership in governments seem to be nonchalantly heading us into oblivion. We don’t need a civil war or any war for that matter. We need to communicate with each other, build healthy relationships and explore possibilities that can restore our environment, not continue to decimate it. We are far from being in the shape that Maldek might have faced, yet we do have numerous recently developed technologies and distribution systems that can put benevolent resources into action rather quickly. Many believe we are too late and have too little to offer in order to change the direction our leaders have taken. I would offer something different. Many have witnessed in their own lives what a change in belief systems, of behavior and consciousness, can do to create change seemingly overnight. I think the same kind of activity adopted by others can result in changing our environment and planetary civilization. I was truly honored that Edgar decided to share his account of their landing. It brought so many things into perspective for me personally, and in those moments there was a sense of corroboration and continuity of my own awareness. He wasn’t sure why the missions to the moon stopped, but he suspected it was because we weren’t welcome. He was sure the real reason was way above his pay grade, though it still made him wonder about our future cohabitation. Of the events I shared with Edgar, he found my quest for truth and the ascension into the light and beyond more interesting. It prompted a brief discussion as time was always a luxury at the events, about how consciousness is connected beyond our physical bodies and what little we know about its operation. He was especially curious as to how to bring this awareness into our waking state. He related the sensation he had in space and imagined it paled in comparison to what I felt in the state of consciousness I had experienced. Now I’ve refrained from noting the dream-scape and visionary-type experiences in which the information was presented yet again. I’ve learned not to withhold when I get this kind of prompt. Still, as I wrote this I was curious enough to do a search to see what other information might be ‘out there’ about this topic. I was disappointed to see that Michael Salla repeated Corey Goode’s account and some others have included this story, only that the nature of Maldek’s destruction was due to some kind of galactic war. I am generally disappointed, and feel no resonance toward, folks like Michael Salla and David Wilcock who only do enough research to make themselves feel important and ‘knowledgeable’ about particular topics. They’ve developed personalities that draw attention and seem intelligent enough, yet when one truly listens deeply for a resonances of truth, there is none. Unfortunately, many have not developed the depth of discernment, let alone trust it. There are numerous versions that always seem to focus on some kind of command and control issue, so completely human perception, rather than explore a far more plausible one. We seem to think that because we, as humans, haven’t learned how to get along and still engage warfare as a way to resolve (which only repeats) conflicts that the rest of the universe is just like us. In the infancy of planetary civilizations I’m sure that is the case. However, any galactic capacity also contains the ability to harmonize and nurture instead of command and control. I’m not saying that I have the answers or that what I’m presenting here is the absolute truth. I do not know, yet there is resonance within my perception of it. I found it odd that the topic was present in my awareness now, as my considerations and ponderings lately haven’t included it. I have, however, been inquiring of how I can personally participate in the sharing of truths that can move us from the imbecilic (command and control) state we’ve been in toward one of harmony (collaboration) of people and planet. The personal experiences and awareness of ‘something more’ that the experiences create still needs a way for us to synthesize and integrate into our natural world or waking state. Heightened awareness leads us to greater attention and intention toward harmony in our environment, our relationships and our society as a whole. 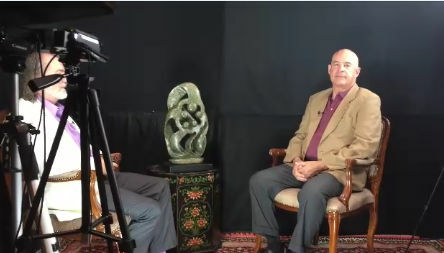 Although brief as well, I recently had the opportunity to share some not so secret information with Dr. Jeffrey Mishlove on New Thinking Allowed regarding my book, Stubbing My TOE on Purpose, and the nature of a real New World Order from the perspective of consciousness and how we might initially perceive it into being. This entry was posted in Disclosure, Secret Space Program, Ufology and tagged dr. edgar mitchell, maldek, moon missions, secret space program, virgil armstrong on November 22, 2018 by Zen Benefiel. Across the decades of experiencing high strangeness and other worlds there has been a consistency of communication for me. I’ve caught a lot of grief over the notion of hearing things many don’t, but it hasn’t impeded the acknowledgement within that I do. After some conversation about the direction of our interviews, based on the pseudo-autobiography Stubbing My TOE on Purpose, Jeffrey felt a discussion on hearing voices would be something that could assist and even support others in similar conundrums and enigmas in their lives. His synopsis of this interview: Here he [Zen] describes his life history, as an individual who has heard voices since childhood. 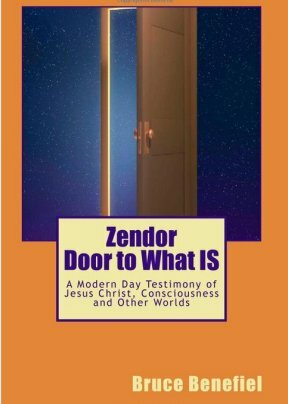 Looking back over the decades, he concludes that this has largely been a positive experience — and has enabled him to explore many interior realms. However, at one time he was warned by a friendly psychiatrist that he should be very careful regarding those with whom he shares these inner experiences. Hearing voices, like seeing craft in the sky, is as subjective as personal experience goes. 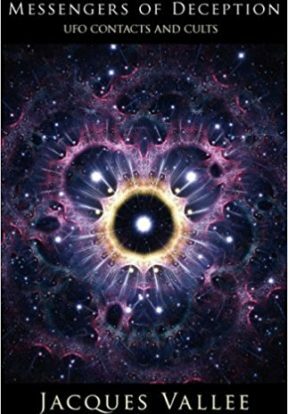 FREE’s Beyond UFOs presents a variety of papers and statistics on experiencer responses, nearly 4,000, to a series of surveys. There is a speculative notion that non-human intelligence (ETs) has a way of creating illusions to keep us happy with results of what we hope to see, at least in regard to the non-physical sightings. Those remnants on the ground, whether burnt grass or crop circles is a different story. For now, though, I’d like to go a little deeper into what we know about the ‘senses’ we have and their potential for revealing more than we anticipate at times. 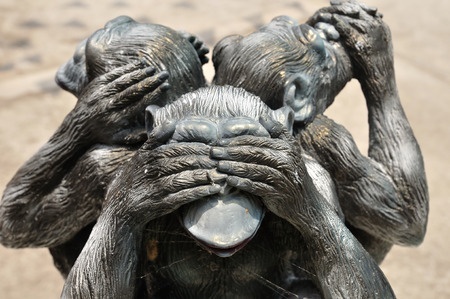 Our external sight is limited by our ability to see, just the same as hearing and on hearing voices. It’s been said that if we have no internal reference from some past ‘visual’ that some things we simply cannot see. Peering into a ‘next level’ of bandwidth, so to speak, is something a few are able to do and yet most dismiss their accounts. I like to use an example, rather loosely comparing 10% of brain use with 5 senses. If we agree loosely, it could be possible that we have 45 more senses with the other 90% or our cranial capacity or brain power. It’s a simple ratio extrapolated. 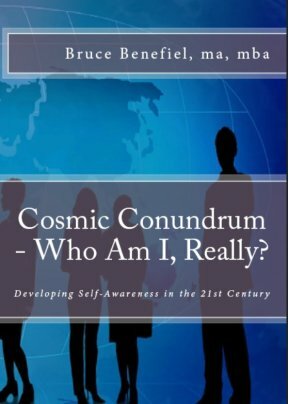 In recent years the focus on consciousness has increased, not just in ufology, and offers some consideration for expanded awareness. In the past, the ‘clair-alls’ have gotten some attention – clairaudience (hearing), clairsentience (physical feeling), clairvoyance (seeing), claircognizance (knowing), clairgustance (tasting), clairempathy (emotions), clairtangency (touch) and clairsalience (smelling). So with those 8, let’s redo the ratio: 10:8 = 90:72. That’s an extraordinary number of possibilities if the logic stands. It certainly gives pause for consideration. Then there is waking consciousness, altered consciousness, dream consciousness and no doubt more variations on those themes. Then there are the various brain waves – Delta (.5 – 4 Hz – deep sleep), Theta (4 – 7.5 Hz – light sleep or meditation), Alpha (7.5 – 14 Hz – deep relaxation), Beta (14 – 40 Hz – waking/reasoning) and finally Gamma (above 40 Hz – insight/peak performance). The Solfeggio frequencies also seem to have an effect on perception. Where are we in those ranges when ‘contact’ happens? Do we know? Is that something we can study or just become more aware of the relative frequencies we perceive during such events? Is this exploration still something humanity is grappling with and unable to be vulnerable enough to talk about openly? 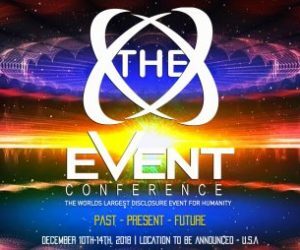 I find it interesting that hearing frequencies are associated with various levels of contact and interdimensional travel, as it were, either as a precursor or during the event. The most obvious for me during initial experiences being the lower ranges (perhaps Theta) and the low slow ‘pulse’ that has often accompanied such events for me… like a heartbeat that permeates everything in those moments. 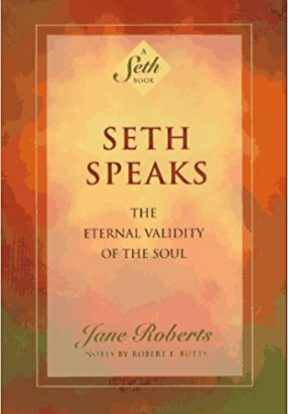 Over time and with continued communication development, the high pitched (upper Solfeggio) seem to be ever-present in the stillness, akin to the Shabda of Hindu persuasion… the ‘sound current’ of all life on Earth. What I ponder more than wonder is the natural order and New World Order that rising awareness and consciousness seem to reveal. 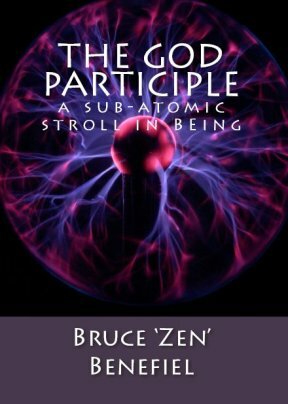 That experience is replete with representation across the electromagnetic spectrum as a system of infinite complexity and order that, once comprehended becomes a simple notion of Natural Order we are just beginning to explore, the congruence of things in space, time and consciousness tethered and tantalizing to the senses within our Being. 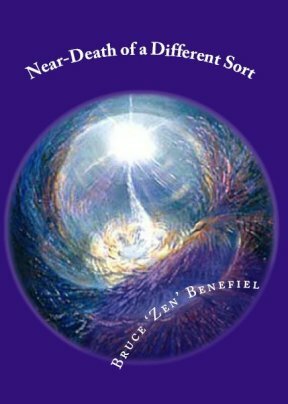 This entry was posted in Critical Thinking, exoconsciousness, UFO Sightings and tagged awareness, hearing voices, natural order, non-human intelligence, Perception, senses, sightings on October 21, 2018 by Zen Benefiel. For decades people have been curious and investigated UFOs in myriad ways. What is the sociology of UFOlogy today? 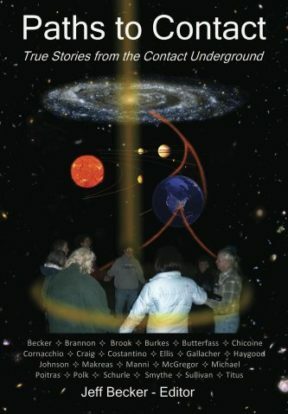 In the late 80s Tim Beckley introduced New Age and Alien Agenda gatherings around the country. 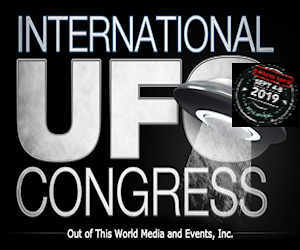 The International UFO Congress began in Tucson in 1991 with Ret. Col. Wendelle Stevens, Jim Diletosso and Ken Liljegren’s team as support. I’ll digress for a moment. My first experiences with non-human intelligence was in 1962, advancing to something different in 1965 which was apparently the ‘normal’ type of contact in the Midwest in the 50s and 60s, the orange cigar-shaped cloud. During that same period, UFOs were apparently shutting down ICBM silos around the globe with exquisite showmanship. Curious and investigative, I continued my quest to know, not just what, how this kinda stuff happens. I love the high strangeness. What makes it tick? I had a lot of questions, numerous events and some experiences I still wonder about today. I had deep conversations with a lot of folks; experts, researchers and experiencers across the gamut. I got to know Tim and Wendelle over the years. 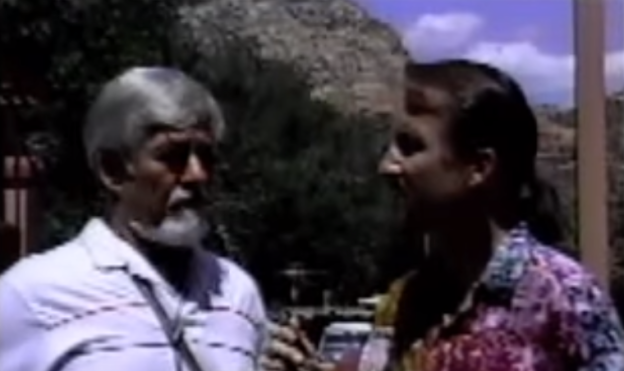 Jim and I became friends and later he recommended me as manager for The Prophets Conference (1997). It gave me an opportunity to have conversations that are extremely rare, up close and personal without interruption. 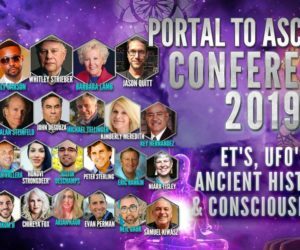 Some of the folks who were there: Dr. Edgar Mitchell, Dr. Steven Greer, Jose Arguelles, David Icke, Linda Molten-Howe, Stanton Friedman, Zacharia Sitchen and 2 dozen more. 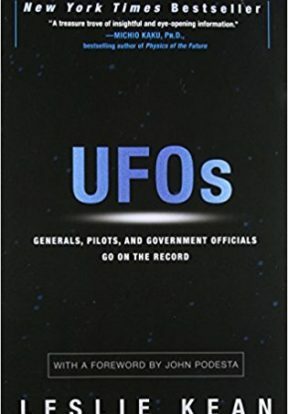 I got to know many prominent folks in the field of UFOlogy many years ago, with friendships still today. 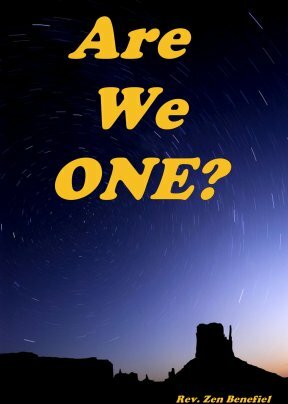 2010 began by assuming responsibility for a UFO discussion group in the Phoenix valley. We met in a community room of a local fire station. Our guest speakers included Claude Swanson, Travis Walton, Alejandro Rojas and more. We also had meditation experiments using music that produced some varied and amazing personal experiences, all of a contact nature. There were about 35 people in the room. Afterward, one elderly woman reported seeing massive ET machinery surrounding the group and ‘working’ on each person. From 2010 to 2014 I was a vendor at the IUFOC, having moved to Ft. McDowell in Arizona. 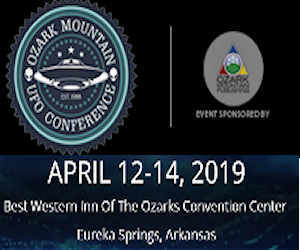 In 2013 we debuted UFOlogyPRSS.com at the International UFO Congress, with over 100 blogs from around the world in one place, up-to-the-moment material. 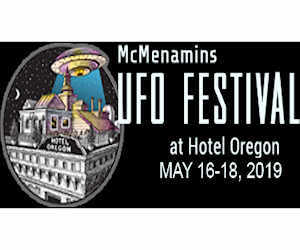 It rose the bar for UFOlogy-based websites. It was our virtual model of folks getting along even if they had opposing views. We’ve also got a number of authors featured; podcasts and radio shows, too. 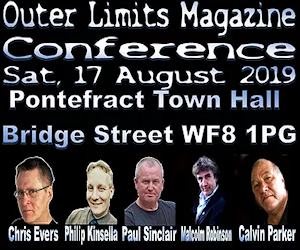 Meanwhile, UFOlogy in general seems to be challenged. Experiencers are on one side and the nuts and bolts scientists on the other with conspiratorialists scattered about in each camp. Dr. Mishlove and I take a frank and open look at what the Sociology of UFOlogy is today. Although challenges do exist, there seems to be a call for change. What that will be remains to be seen. In the ‘contact’ scenarios, experiencers have to deal with seemingly incredulous events and still continue with some kind of ‘normal’ life. Whether individual or family needs, the daily functional activity still needs doing. There is something else going on, though, as shows like this don’t happen if the conversation isn’t necessary, imho. Our hopes were to address common concerns and explore a little of what else is happening. I was a willing participant in spite of my trepidation. Talking about the Ashtar Command and Galactic Federation, however real and true they may be, is not the kind of talk that garners credibility normally. There’s evidence they do exist dating back to 1952 with George Van Tassel. Although we discussed the potential confusion with deities, there is still more confusion around the topic. George Van Tassel met Robert Short, who took on the ‘Ashtar Command’ label, used it for contrary purposes and wasn’t connected to the ‘source’ like George. 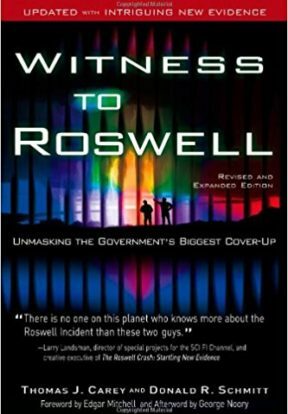 I met Bob in the late 1980s and didn’t feel he had a good connection, if any, talking nonsense about conspiracy theories interwoven with an Ashtar Command that would somehow take action against the cabal. The latter was infectious and unfortunately obfuscates the truth still, imho. Jeffrey made a delicate subject easy to discuss. We had a nice mind flight. Perhaps you’ll consider sharing this article and video. More importantly share New Thinking Allowed. Thanks in advance. This entry was posted in Ashtar Command, Galactic Federation, Missions & Purpose, Ufology, UFOs and tagged abductees and contactees, Cognitive neuroscience, Cognitive psychology, Cognitive science, consciousness, Contactee, ET questions, scientists and ufos, UFO questions, Ufology on August 30, 2018 by Zen Benefiel. This entry was posted in Critical Thinking and tagged abductees and contactees, Cognitive neuroscience, Cognitive science, consciousness, extraterrestrial contact, new world order, non-human intelligence, UFO questions, Ufology on August 14, 2018 by Zen Benefiel. 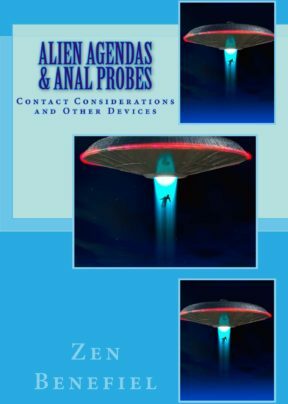 For several years now, data has been collected and correlated by a dedicated group of folks under the banner of the Dr. Edgar Mitchell Foundation for Research into Extraterrestrial Experiences (FREE). 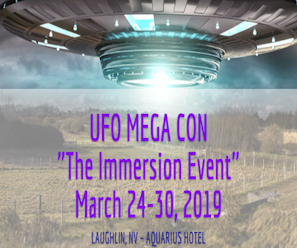 The organization, like many, has gone through some iterations and changed to Extraterrestrial and Extraordinary Experiences, although they haven’t added an ‘E.’ Their surveys are directed toward contactees or ‘experiencers’ of this phenomena. 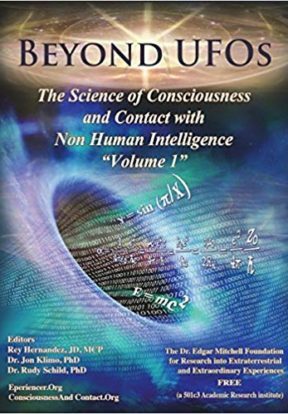 From their website: “BEYOND UFOS: THE SCIENCE OF CONSCIOUSNESS AND CONTACT WITH NON HUMAN INTELLIGENCE”. After 4 years of conducting the world’s first comprehensive multi-language and international academic research study on UFO related Contact with Non Human Intelligence (NHI), The FREE Foundation has finally published its new book! 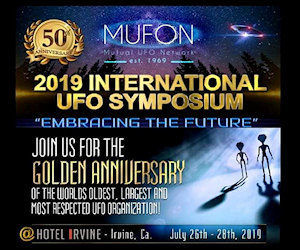 FREE is in the 5th year of administering the world’s first comprehensive, multi-language worldwide academic research study on individuals that have had Unidentified Aerial Phenomena (UAP) related contact experiences with Non-Human Intelligence (NHI)– The FREE Experiencer Research Study. 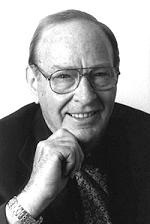 The Dr. Edgar Mitchell Foundation for Research into Extraterrestrial and Extraordinary Experiences, or FREE, is a 501c3 not for profit academic research foundation. 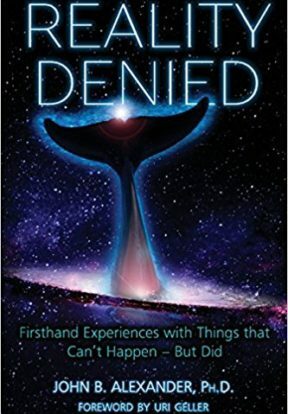 FREE was co-founded by the late Apollo 14 astronaut Dr. Edgar Mitchell, Harvard University Astrophysicist Dr. Rudy Schild, Australian researcher Mary Rodwell, and Rey Hernandez, an attorney, a UAP Contact Experiencer, and Ph.D. candidate at UC Berkeley. Over the last 5 years, the FREE Foundation has had over 10 Ph.D.s, mostly retired academic professors, and 20 other lay researchers, volunteering in this research study. FREE’s Executive Director is Dr. Rudy Schild, a retired Astrophysicist from Harvard University. Due to the controversial nature of the FREE research data, the UAP-related contact phenomenon is not studied in universities. Even the field of “Parapsychology” continues to view the UAP contact phenomena as a taboo topic and the majority within parapsychology do not want to be directly associated with the UAP phenomenon. FREE’s academic research study seeks to address this problem. Until we began our research, no one had a basic understanding on the topic of UAP-related contact with Non-Human Intelligence (NHI). Why? Because the basic research data collection on this topic was never undertaken. We discovered that many of our survey findings contradict much of what has been circulating in the field of Ufology. 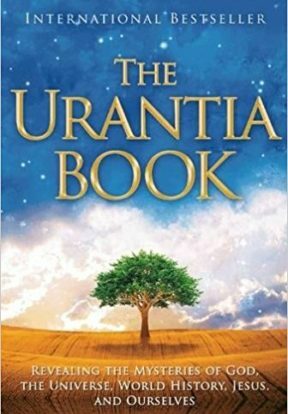 The true story of UAP-related contact with Non-Human Intelligence was not being accurately presented. FREE’s work is thus a paradigm-shifting event. As you will soon observe from our data, FREE’s research suggests that the physical aspects of this phenomenon are but a small fraction of attributes associated with these complex manifestations. Indeed, it is the pervasive non-physicality, the parapsychological and other paranormal aspects, that comprise the majority of survey respondents’ experiences. What can we do with all this data? Now, nearly 5 years later after the concerted effort to develop the surveys and distill the information into usable forms there is an obvious revelation in not only are these encounters real, they are much more prevalent than previously thought. Thousands of events have gone into the compilation of the statistics in order to share the relationships. No where else has this been accomplished yet. 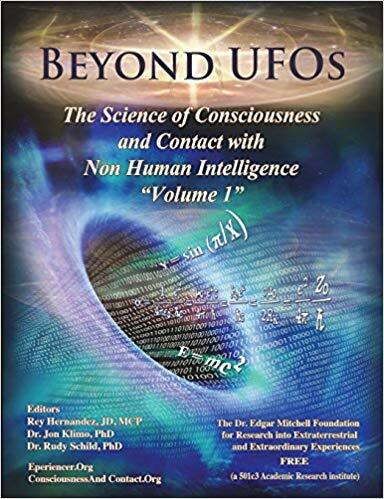 This volume is a requirement for any serious ufology research and anyone interested in the evolution of our consciousness and interaction with that which is beyond human. The contributors to the book also share nearly the same views from their observations and research, let alone their personal experiences, presenting their ideas from a variety of perspectives that meet the scholarly requirements for a great work and leading-edge research in what has traditionally been a hands-off fashion for lack of empirical data and/or repeatable event construction. The nature of these encounters is certainly more random yet perhaps as the information is shared and studied there will be better questions that help us to understand and even participate in the phenomena. If you are here and reading this, then you owe it to yourself to get the book. 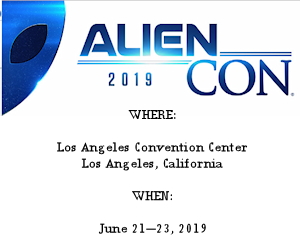 This entry was posted in consciousness, Contactee and tagged abductees and contactees, beyond ufos, extraterrestrial contact, fringe science, ufo contactees on July 26, 2018 by Zen Benefiel. Any UFO Reports from the Wild West Period?